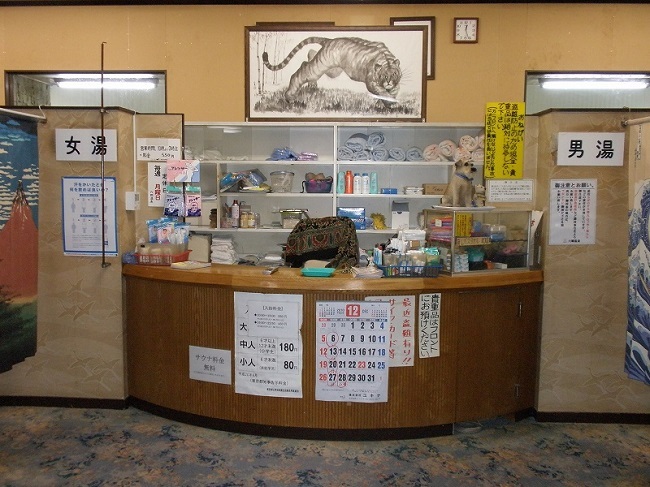 Rokugo Onsen is located in Ota-ku, Tokyo and it wears an old-fashioned atmosphere. 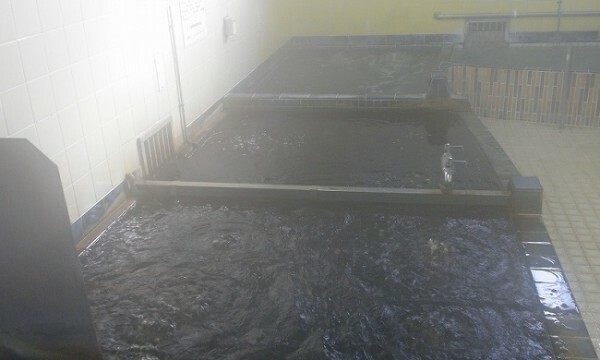 The facility utilizes the Kuroyu (black water) and you will be surprised to see how black it is. 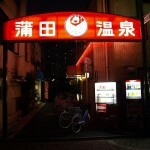 Rokugo Onsen is located in Ota-ku, Tokyo and it wears an old-fashioned atmosphere. 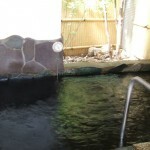 The facility utilizes the Kuroyu (black water) and you will be surprised to see how black it is. This has a good effect on making skin smooth and improving poor circulation. Besides the normal bath, there are a bubble bath and an ultrasonic bath. It opens in the morning as well, so you can take a bath in the morning. You will get to this facility walking only one minute from the train station. Make your skin smoother with the black water! This black water is quite good. 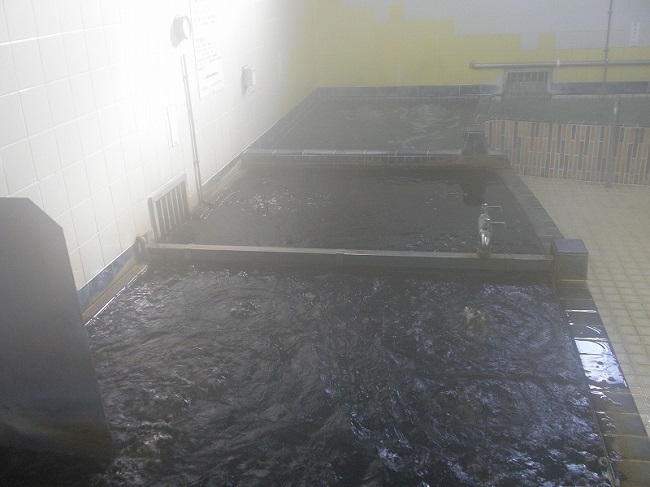 When you get in and sit in the bath, you won’t be able to see your foot fingers because of the dense black water. Your skin feels smooth while you are in the bath, then when you get out from it, it might feel a little slimy to the touch. After dying your body, then you feel it very smooth like a silk. 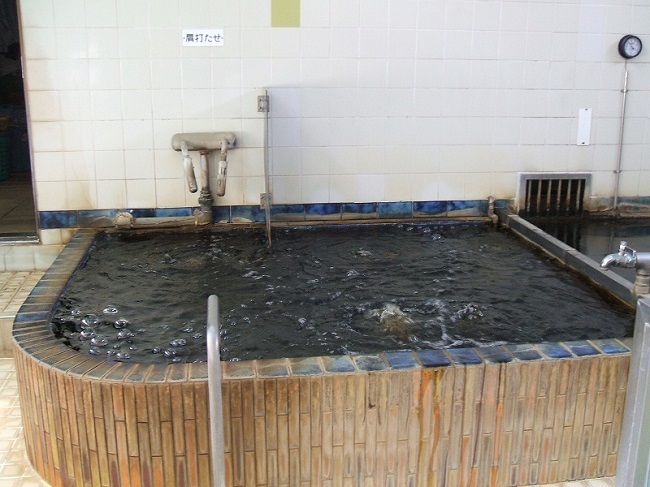 There are a low and a high temperature baths and a cold black water bath, try them out and find your favorite one! For your information, the high temperature bath is quite good temperature. However, it is a little deep so be careful when getting in to it.